Celebrating the flavors of Greece, Rebel Kitchen presents “My Big Fat Greek Pop-Up”. Join them for this very special pop-up, as Chef Paul takes inspiration from his Greek heritage, and creates an amazing multi course dinner. So, gather up your friends and family to share a night of good food and community. Join them on Thursday, July 13th at 6:30 PM at The Central Collective. Dinner is BYOB, and glasses will be provided for your convenience. Tickets are limited to 20, so don’t delay! Cost is $69.50 per person (All-Inclusive). Visit their Facebook Event for more information, find tickets here, and check out the menu, with lovely local food options, below! Join nutrition coach Katie Dotson for our Winter Wellness Series at our Winter Farmers’ Market. Each session is stocked full of healthy eating insights, strategies and organizational tips. Plus, you’ll prepare and take home a meal starter kit for two during each session! Session 2: From Kitchen to Table in a Flash! Life gets in the way sometimes… busy schedules, social events and tons of temptations everywhere. Eating healthy ain’t easy. The second session of our Winter Market Wellness Series – From Kitchen to Table in a Flash – will help you discover the meal prep technique that will work best for you! Join Katie Dotson, nutrition coaching master, on February 25 to learn simple meal prep tips and techniques that will have you putting a meal on the table in no time. You’ll even take home a meal starter kit for two, locally sourced from our very own market! -This is 2 of 3 sessions. 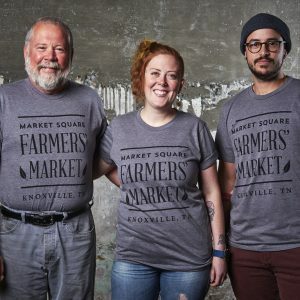 Participants that participate in 2 or more classes will receive a $5 Market Money token to spend at the Winter Farmers’ Market. Session 2: February 25, From Kitchen to Table in a Flash!